Your London Local Emergency Locksmith Services. Locks in the City operate 24/7 all day, everyday when required. We will attend your property when an emergency occurs, whether it’s 22:30pm or 03:00am you can call us to help. Whether its a case your locked out, snapped a key in your lock or in the unfortunate situation your home is burgled and needs re-securing. We will attend and put you at ease, knowing we will resolve your issue proficiently and professionally. As an London Emergency Locksmith Service already to many previous customers, both domestic and commercial. We have built up a long standing relationship. We are the go to locksmith for out of hours emergency calls for some large housing Associations. 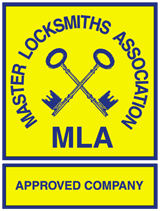 As members of the Master Locksmith Association we are vetted and have full up to date DBS checks in place. (Previously CRB Checked). So you can be safe in the knowledge you are getting a vetted and trusted Emergency Locksmith Service from Locks in the City. We are not a call centre, so when you call us you will speak to me directly a working locksmith. We will ask you a few questions. This helps us to understand a few things. To ensure we can quote accurately. Advise how long, until we will be with you. Put you at ease that we resolve your emergency quickly.